Need to unwind? Want to get out of your dorm for a while? 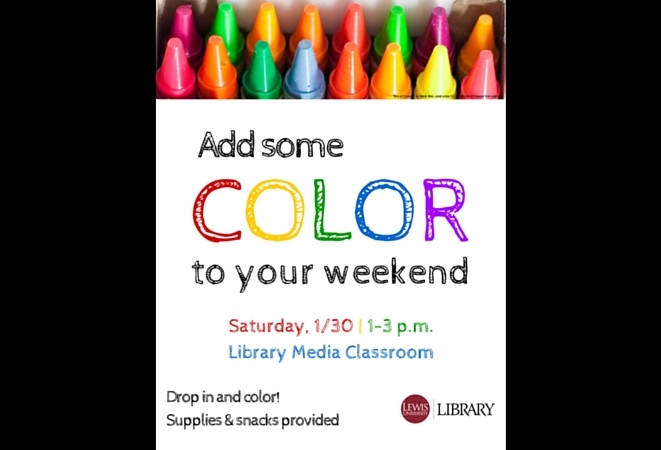 Come to the library and color! Coloring is great way to take time from homework and give your brain a break. Coloring isn’t just a fond childhood memory anymore–according to the New York Times, it’s one of the biggest trends right now for adults. Even if you’re not stressed, it’s still fun! It helps with meditation and relaxation, and gives you something to do that doesn’t require a lot of concentration. Come to the Library Media Classroom this Saturday, Jan. 30, between 1 and 3 p.m. and see for yourself! A variety of coloring pages will be available, as well as colored pencils and crayons. If you have your own materials, feel free to bring them. Popcorn will also be available to munch on. Come by yourself or with your friends, and stay as long as you want! 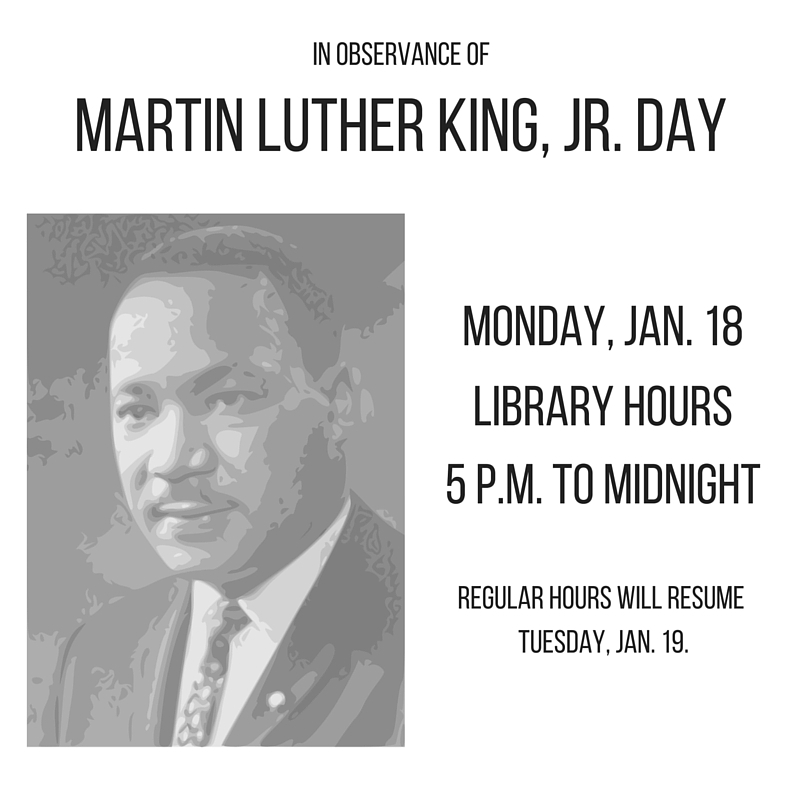 The Library will be closed during the day on Monday, 1/18, but will reopen at 5 p.m. Regular hours will resume on Tuesday. During the Fall 2015 semester and winter break, the Library staff participated in the Lewis University Police Department’s ALICE training. 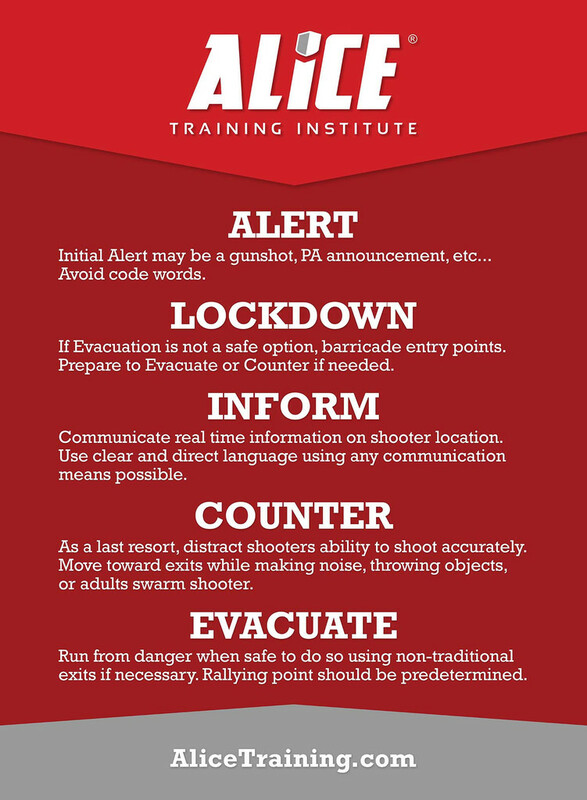 ALICE, an acronym for “alert, lockdown, inform, counter, evacuate,” prepares participants to survive an active shooter event. In November, Library staff members completed the classroom portion of the training, which involves analyzing previous active shooter events to understand the best tactics for survival. On Jan. 7, LUPD facilitated live-action scenarios that allowed staff to practice these techniques. The Library staff would like to thank LUPD Deputy Chief Mike Zegadlo and his staff for facilitating the training.